The blushing bride will be utterly radiant when she readies herself for the big day. From a very young age, women dream about what their wedding day will be like. However, when it’s finally here, we get a little stressed. 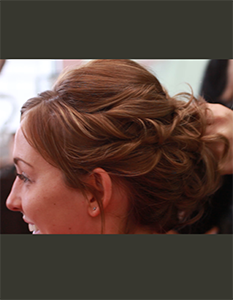 We want everything to be perfect and to feel beautiful; we’re filled with pre-bridal jitters. Well, fear no longer. 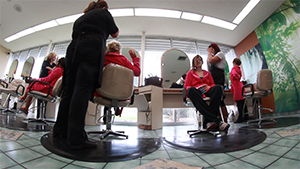 Here at The Future Wave Salon we will take care of you and make sure you look and feel beautiful for your special day. 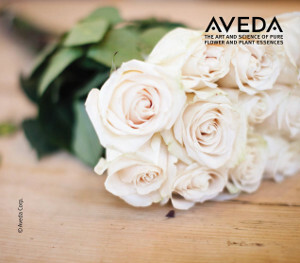 During this special day, The Future Wave Salon welcomes Brides and their Bridal Parties to bring refreshments with them to the salon. Come in to The Future Wave Salon before your big day and receive a pre-bridal make-up application, along with the final make-up application on the day of your wedding. Our make-up artist will consider your special features and skin tones to personalize your make-up application with colors that enhance your natural beauty. Schedule any major hair treatments (highlights, color, perms, etc.) at least 14 days before your big day to allow for any adjustments that may need to be made. The day of your trial run, take good pictures. Bring these with you on your wedding day to ensure everything is just how you want it. Schedule facials at least 2 days before the wedding day to improve skin texture. Schedule your manicure before your big day to eliminate the chance of nicked cuticles from dryness and sensitivity. 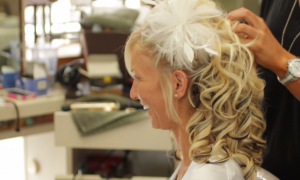 If you plan to have curly hair for your wedding day, don’t use a flat-iron prior to your appointment. The bride should bring her own waterproof mascara. For touchups during your big day, buy the same shade of lipstick (included in our Bridal Make-up Application!) that will be used for your bridal makeup. To reduce the need for reapplications, use a matching liner to completely cover the lip and then fill in with the lipstick. 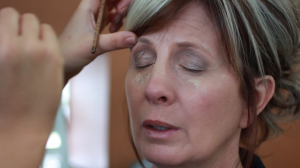 Have your bridal photography makeup done by a professional makeup artist – it will be worth it!